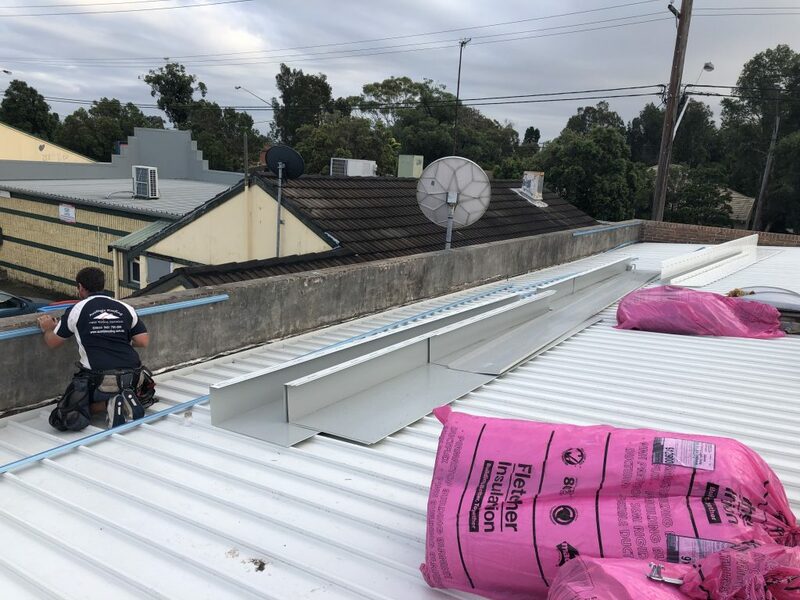 A much needed re-roof at a commercial property in Killarney Vale. 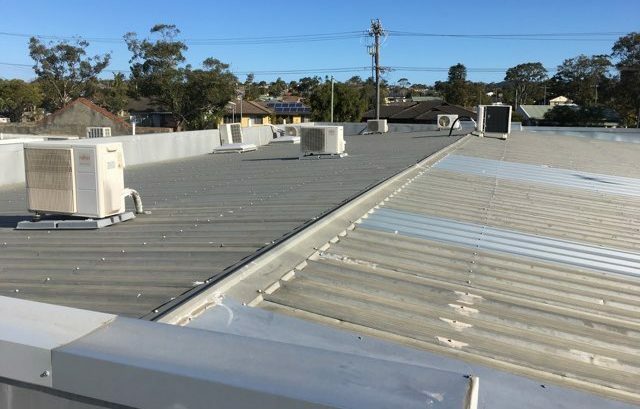 The properties roof had been patched numerous times prior to calling out AusStyle Roofing. In this instance the patchwork was not worth the investment, as the leaks continued and the evident patchwork had not been completed correctly. This commercial Killarney Vale property has been completed in high strength 0.48bmt Kliplok in Surfmist. 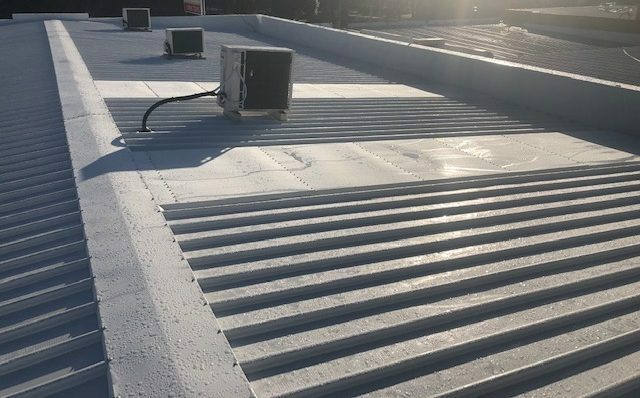 All parapet capping, flashing and box gutters were completed in Surfmist.